A new website is now available for the Victoria General Hospital School of Nursing Alumni (Halifax, NS). 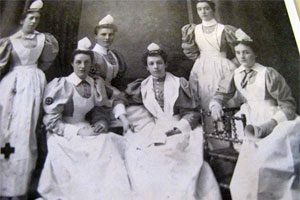 The VGH School of Nursing graduated its’ first nurses in 1892. By the time of its closure in 1995, the VGH had graduated around 5000 nurses. For more on the school’s history, archives, and scheduled events check out their website here!